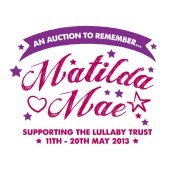 I don’t have time to write much tonight as I am trying to pack our picnic and bits for the Mile in Memory of Matilda Mae walk we are doing tomorrow to help raise money for The Lullaby Trust. But I needed to record something that happened today. Recently both Jasmine and Thomas have been exploring numbers and addition sums. Well actually Thomas has been doing it for a while but recently Jasmine has joined in and, as is the way when they both do something, they are getting better and better at it as they bounce ideas off each other as well as talking to me. I have noticed over the last week especially, that they are also remembering some number facts. They can both now tell me that 5 add 5 equals 10, and I am fairly certain Thomas can double numbers to 5 from memory. The number stories and sums continued after I had picked them up from Forest School and as they were doing so well with addition I thought I would introduce some subtraction as well. Again they both did well considering we’ve never really done it before and they started asking each other some “take away 1” questions and getting the right answer. At dinner we were still going strong and Jasmine was enjoying subtracting amounts of food as she ate! With almost every part of her dinner we had something like “I have 3 bits of pepper and I have eaten 1 so I have 2 left. I had 3 bits of pepper and I have eaten 2 so I have 1 left…..” etc. She was loving it and it had the added bonus for me of getting them to actually eat every bit of food on their plate! One other really nice thing that happened today was that after Forest School I was speaking to the leader and she told me that Thomas had been mixing and interacting with the other children really well in today’s session, which was really lovely to hear!